Our signature bagels are made from traditional Eastern European recipes passed from generation to generation. They are natural and vegan containing only basic quality ingredients, with no added additives, improvers, flavours or preservatives. Kettle boiled to achieve this soft and chewy texture. They come in the following flavours: plain, sesame seeds, poppy seeds, rye, wholemeal, cinnamon-raisin, onion, chocolate chip, blueberry, tomato-and-olive, vegemite-and-cheese, challah bagel. 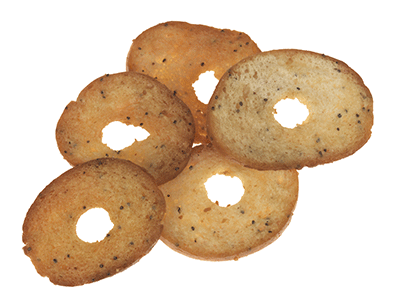 Our famous bagel crisps are crunchy and full of flavour with zest and dressed to impress. They come in six flavours: plain, paprika, Italian herbs, zataar, garlic, and oregano. You can enjoy it with salad or soup, favourite spread or just straight from the pack. Our cakes incorporate the rich baking tradition of Europe with a dash of Australian adventurous spirit. 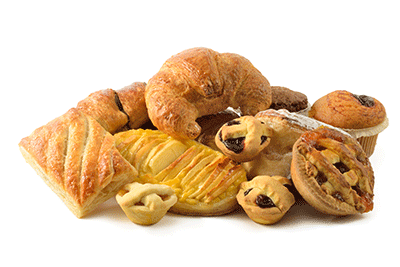 We like to create new things, pushing baking frontiers even further to deliver the best for our customers. We have a large selection of cakes and biscuits to suit everyone's taste and we also create based on your requirements. We cater for any occasion, from small gathering to weddings, bar-mitzvahs, birthday parties, just name it. You celebrate we bake. Our light as a feather pastry creations can surprise even the most discerning food critics. Either savoury or sweet, from potato bourekas, to cheese danish or cinnamon scroll you can always find something special to make your day better. We have a wide selection of strudels filled with cheese, poppy seeds, cherries and apple. 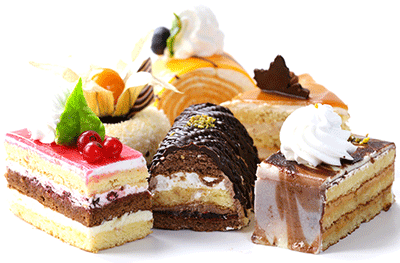 We produce a wide variety of muffins, tarts, donuts, cupcakes and many more. 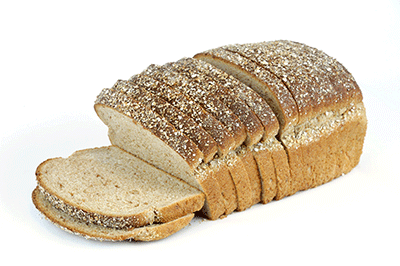 Our freshly baked and handcrafted breads include a wide selection of plain, wholemeal and traditional rye, sourdough loaves, baguettes, rolls, ciabatta, turkish bread, pizza base and many more.